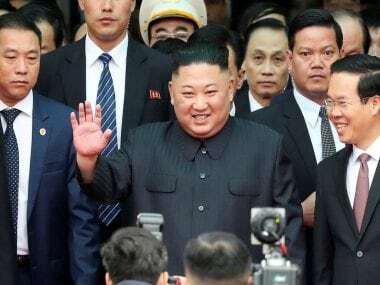 Washington: South Korea's new leader vowed Wednesday to stand firmly with President Donald Trump against North Korea, playing down his past advocacy of a softer approach toward the nuclear-armed nation as he made his first visit as president to Washington. President Moon Jae-in offered an emotional tribute to Marines who fought in a fierce battle in the Korean War that helped in the mass evacuation of Korean civilians, including his own parents. Moon said that without those American sacrifices, he would not be in Washington today. "Together we will achieve the dismantlement of North Korea's nuclear program, peace on the Korean Peninsula and eventually peace in Northeast Asia," Moon said, after laying a wreath at a Marine Corps base in Quantico, Virginia, as he began his first overseas trip since taking office last month. A monument at Quantico commemorates the 1950 Battle of Chosin Reservoir, when heavily outnumbered American forces fought a rearguard action against advancing Chinese communist troops that bought time for about 10,00,00 Korean civilians to be shipped out to safety — 14,000 of them on a single vessel that ferried out Moon's parents. Moon was born in South Korea in 1953. 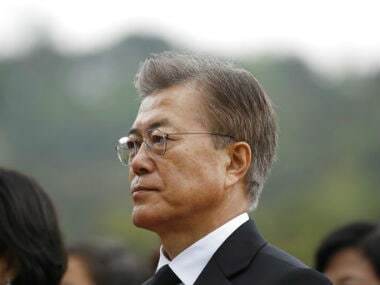 Moon was underscoring his personal commitment to the US-South Korean alliance in the face of questions over whether his inclination toward engagement with North Korea despite its rapidly advancing nuclear capability could lead to strains in relations with Washington. Moon's conservative predecessor, who was impeached in a bribery scandal, took a hard line toward North Korea, similar to Trump. Despite Moon's softer stance, the North's rapid tempo of missile tests has continued, deepening US fears that the American mainland could soon be within range. Trump's National Security Adviser H.R. McMaster said Wednesday that the US is preparing "all options" for North Korea, "because the president has made clear to us that he will not accept a nuclear power in North Korea and a threat that can target the United States." The talks between Moon and Trump, which begin with dinner on Thursday night and then formal talks on Friday, come amid intense wrangling over North Korea. China is pushing the United States to start negotiations with the North. That prospect appears unlikely as Trump grows frustrated over Beijing's level of economic pressure on the North, its wayward ally. North Korea shows no sign of wanting to restart talks on abandoning its nuclear weapons program. Although Moon hopes to forge a personal bond with Trump, there's little in common between them: one a brash American tycoon-turned-populist president, the other a former human rights lawyer who received an elite education but opted for grassroots activism. Moon sought to allay concerns over differences with Trump in interviews before his visit. He described his approach to the North as consistent with the US administration strategy of "maximum pressure and engagement." The White House is also playing down differences. Moon told The Washington Post that North Korean leader Kim Jong Un is "unreasonable" and "very dangerous" and that pressure was necessary. But Moon said sanctions alone would not solve the problem, and dialogue was needed "under the right conditions." 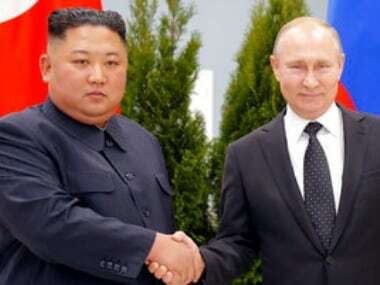 Six prominent former US officials, including former Defense Secretary William Perry and former Secretary of State George Shultz, on Wednesday also called for dialogue. They wrote to Trump, urging him to establish communication with North Korea "to avoid a nuclear catastrophe." Missile defense is another contentious topic. Earlier this month, Moon surprised US officials by delaying the full deployment of a US system intended to protect South Korea and the 28,000 US forces based there against North Korean missiles. Seoul's previous government supported the deployment despite local opposition and Chinese objections. Moon's government has ordered an environmental review before allowing additional launchers for the Terminal High-Altitude Area Defense system. South Korean officials say that does not mean they are placating China or reversing the decision, which risks angering Washington. The US has stepped up shows of military force near the Korean Peninsula under Trump, and outrage in Washington over North Korea has only grown since the death last week of US university student Otto Warmbier. He had spent 17 months in detention in the totalitarian nation for stealing a propaganda poster and returned home this month in a coma. Three other Americans and six South Koreans are still being held in the North. Moon's visit will not be all about North Korea. 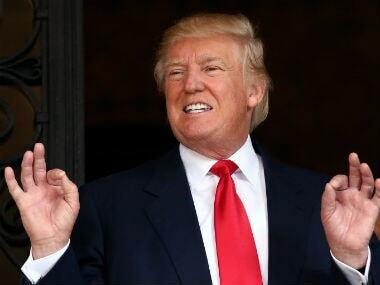 Addressing the US Chamber of Commerce late Wednesday, he called for further expansion of trade and economic ties. 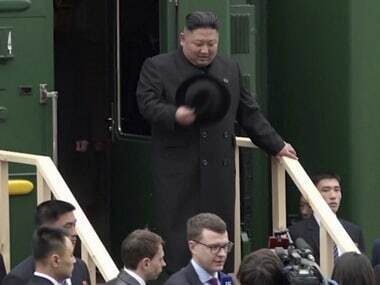 He even looked forward to a time when peace on the divided Korean Peninsula would open up business opportunities inside North Korea. During the election campaign, Trump criticized a 2012 US-South Korea free trade agreement because of a large South Korean trade surplus for merchandize. The US enjoys a surplus in services exports. Total two-way trade totaled $144.6 billion last year, with the US running a $17 billion deficit. The White House official said Trump would call for the lifting of barriers to US auto sales in South Korea and voice concern over steel exports from China that reach the US via South Korea.